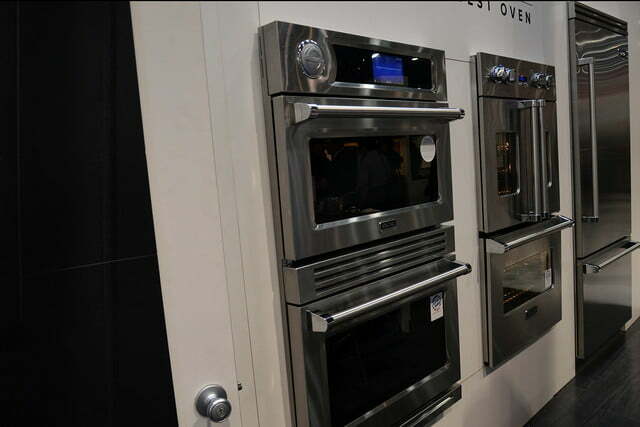 “But I want it now” might as well be the rallying cry of ovens at KBIS 2016. 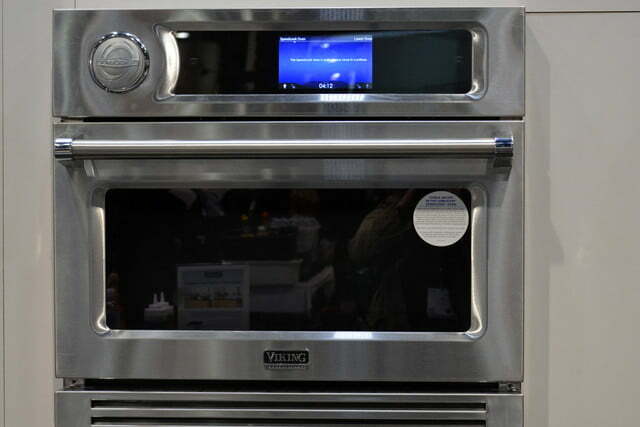 GE’s FirstBuild unveiled its $9,900 Monogram Pizza Oven, which can cook you a pizza in two minutes (after 30 minutes of preheating), but if you want something besides a slice, you can fire up the Viking TurboChef. 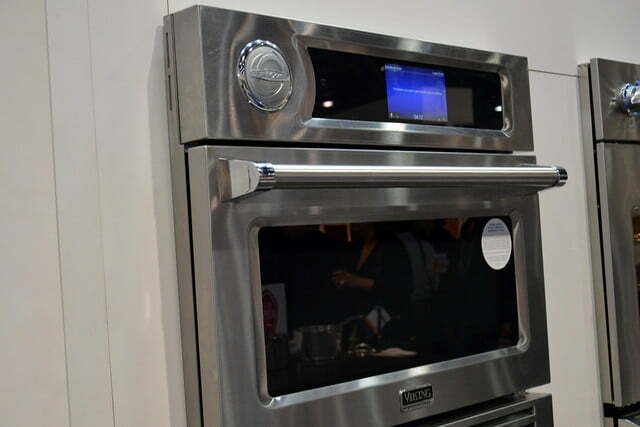 The 30-inch double oven preheats for between six and 10 minutes, and then usually cooks things far faster than that — about 15 times faster than other ovens, according to the company. What does that mean? You can make bananas foster in three minutes, cook a steak to medium rare in five minutes, and do your whole Thanksgiving dinner — from the turkey (42 minutes for a 12-pound bird) to the vegetables to the pie in about an hour. 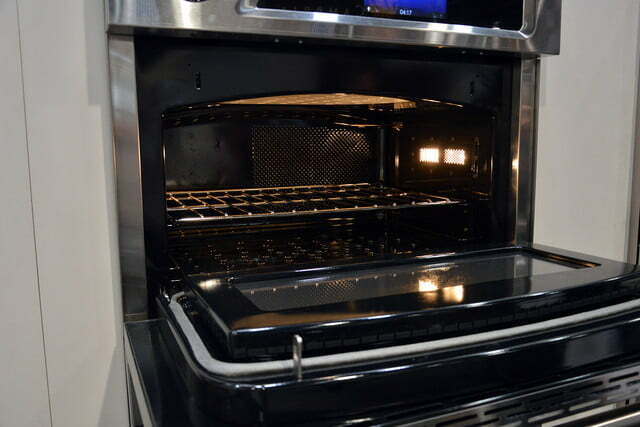 The oven blows heated air over the food at speeds of up to 60 miles per hour and circulates it around the food as well. 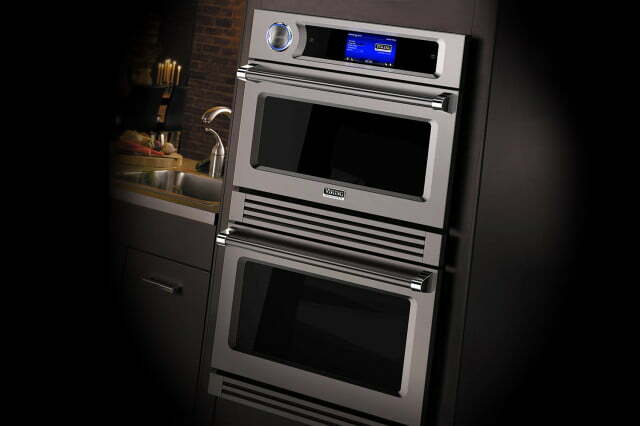 Restaurants such as Subway and Dunkin Donuts use commercial versions of the oven, according to Viking, but the TurboChef is meant for homes that want dinner on the table STAT. 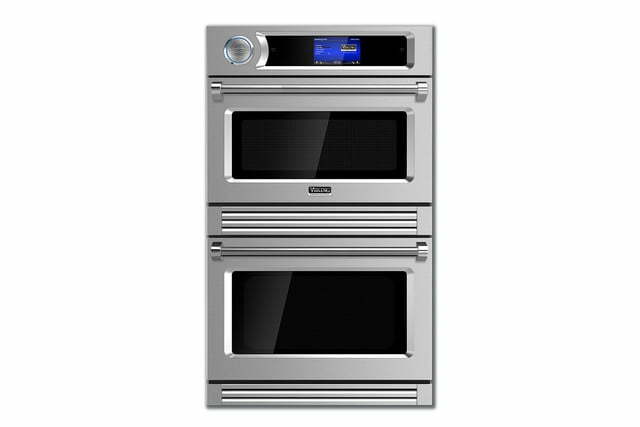 The oven also has presets, more than 1,000 of them, that will cook your meatloaf or frozen pizza for the proper amount of time. While you won’t be able to tell it, “This is an Amy’s Vegan Margherita,” it will adjust the cooking time if you enter the thickness and weight of the pie. A Chicago-style will take longer than a thin crust, obviously. The oven has over 200 patents, but it’s mainly the forced air that’s doing the heavy lifting when it comes to speedy cooking. The floor of the TurboChef has lots of little holes for the air to flow through. It also sends out microwave pulses to boost up the heat when necessary. If you want to add in your own recipes, the oven has a USB port. It might take a little getting used to when figuring out cooking times at first, though. “It’s always going to give you the opportunity right to the end to make adjustments,” says Tom Dufresne of Viking. You can add time or get it to microwave again if your cheese isn’t golden-bubbly enough. 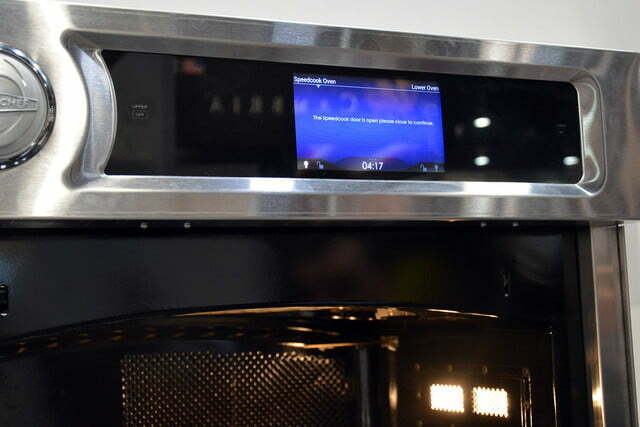 While the TurboChef is currently in production, it doesn’t have a finalized release date or price, though it’s likely going to be around $13,000. This style of fast food doesn’t come cheap.